Previous Article Best of Ten! Your point about this one comparing and contrasting three different marriages is a good one. Provides a lot more fodder for discussion! Everything I’ve read in these posts makes me really regret not getting to read this one. I’m definitely going to order a copy ASAP. I would be happy to mail you my copy if you would send it back. I’m sorry I didn’t know you were having the problem sooner, because I read the book six months ago! Don’t even worry about it! It never even occurred to me that the library wouldn’t have a book I was looking for. I think I’m going to want to own a copy so I’m totally great with ordering one. That was one of the things I liked, too – the differences between the sisters’ marriages (and their lives). And I think the author did a nice job in telling their stories in a way that it all makes sense that these differences would be the case. The way Lucy mothered the other two, the choices they made in their personal lives, etc. Yes, and the differences in their priorities. I can relate to Lucy’s feelings about being left out, because I was the oldest daughter in my family and had to do quite a bit of mothering to my youngest brother and a lot of house cleaning, too. I wouldn’t have been at all surprised to have my youngest brother tell me he looked at me as a mother figure, because I was 13 years older than he was. But I was shocked to hear recently from my sister, who was just 6 years younger, that she also looked at me as a mom substitute. No wonder none of my brothers or sisters ever included me in things when we were teenagers and young adults! No wonder you related to that part of the book so well! Great point about how many of the books we read are about unhappy marriages and unhappy wives. Conflict makes for a good story, so that makes sense, but I like how this one contrasted Lucy against the others. That drove some of the points home, and I wonder if Whipple wanted to make a point about how bad things could be for some women (like Charlotte) before some laws recognized it. That’s a good point. She may have. Great review! 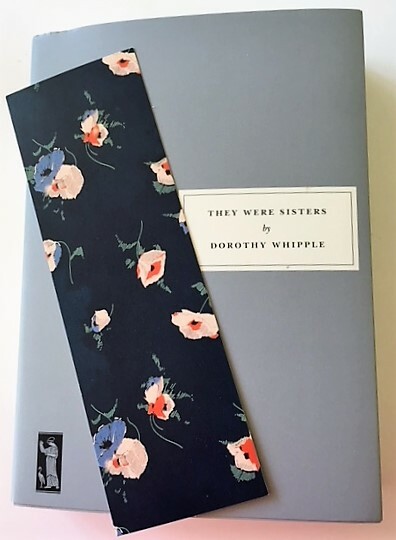 I have loved every Dorothy Whipple that I’ve read thus far. I’ve not read this title yet, however. I look forward to it. I read this at the end of last year and found it unputdownable, this is not a cosy world at all and very much (I think) brings home the importance of consistency for happy family life – all those poor children. Yes, I loved this book because it did such a good job with realistic situations.